The Tesi range from Ideal Standard combines elegance with functional form, it's accessible quality and versatility make it easy to assemble a beautifully co-ordinated bathroom. 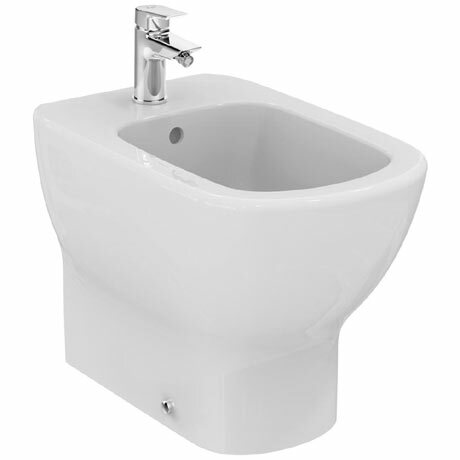 The Tesi back to wall bidet is manufactured from high quality vitreous china for long lasting durability and features a single tap hole and integrated overflow. Dimensions: (W)360 x (D)550 x (H)400mm approx.